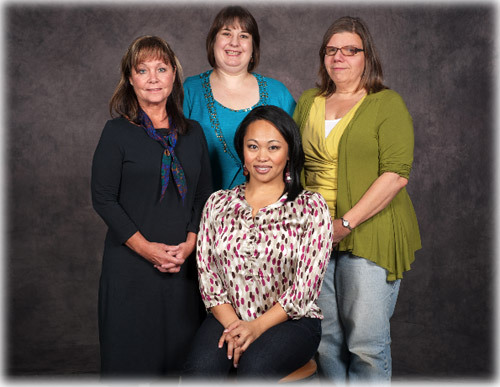 Ketchikan: Annual WISH “Women Of Distinction” Honorees Announced - Four women will be honored by Women In Safe Homes (WISH) on Saturday, February 9, 2013 at WISH's 5th Annual Women of Distinction Dinner and Silent Auction. The event celebrates the outstanding accomplishments of Ketchikan women who have made a significant difference in the lives of others. This year’s honorees are: Charlotte Glover, Tris Nausid, Elizabeth Nelson and Alma Parker. Special guests attending the event are Governor Sean Parnell and First Lady Sandy Parnell. In addition, flutist and hoop dancer of the Lakota and Anishinabe tribes, Kevin Locke, will be joining the celebration and honoring these amazing women of Ketchikan. A prime rib dinner will be catered by the Ketchikan High School Culinary Arts program and served by the Ketchikan High School Lady Kings Volleyball team. Ketchikan - POW: Road Access To Niblack and Bokan Mines Would Assist Southeast Alaska’s Economy – Wednesday, U.S. Sen. Lisa Murkowski (R-Alaska) introduced legislation to permit road access to two proposed multi-mineral mines on Prince of Wales Island in Southeast Alaska. The bill would authorize the building of road through inventoried roadless lands. Ketchikan: Public Invited to Meet UAS Ketchikan Campus Director Candidates - The University of Alaska Southeast Ketchikan Campus Director Search Committee has invited three candidates to Ketchikan. The public is invited to meet the candidates and offer their written opinions and recommendations to the Search Committee following each of the three community presentations by the candidates. Thursday, February 14, 12:00 PM – Dr. Cathy Anderson, Ph.D.
Thursday, February 28, 12:00 PM – Dr. Voytek Panas, Ph.D.
Thursday, March 7, 12:00 PM – Dr. John Garmon, Ph.D.
Southeast Alaska: Coast Guard crews and good Samaritan assist vessel in distress - Coast Guard crews and a good Samaritan assisted the crew of a 70-foot fishing vessel taking on water approximately five miles west of Fairweather Ground Wednesday. An Air Station Sitka MH-60 Jayhawk helicopter and crew successfully delivered dewatering pumps to the four people aboard the fishing vessel Masonic. The crew of the Coast Guard Cutter Liberty is en route to meet the vessel in Cross Sound to further assist the vessel to port in Honnah, with an estimated time of arrival of Thursday morning. Southeast Alaska: Murkowski Introduces Bill to Restore Subsistence Harvest of Gull Eggs in Southeast Alaska – U.S. Sen. Lisa Murkowski (R-Alaska) reintroduced legislation Monday restoring the traditional rights of the Huna Tlingit to gather glaucous-winged gull eggs in Glacier Bay National Park as part of their subsistence hunting activities. Alaska: Finalized Chinook Salmon Stock Assessment and Research Plan Available - The Alaska Department of Fish & Game hosted a scientific symposium in Anchorage on October 22nd & 23rd, 2012, and the finalized Chinook Salmon Stock Assessment and Research Plan, 2013, is now available. DAVE KIFFER: Twas Two Weeks After Christmas - Well, it just wouldn't be the holidays around our place if one precious ornament didn't get destroyed and one pet didn't try to commit felinicide. Now hold on there, notice I said "tried." No animal was harmed in the making of this column. As many of you know we have three cats. We'll call them old cat, middle child cat and baby cat. And no, having three cats does make us on of "those" families. You know,the families that are overrun with pets? That's not us. We have three humans in the house and three cats. That's a balance. Sort of. DANNY TYREE: Smoking Penalties? What About Other Obamacare Surprises? - According to the Associated Press, many smokers were caught off guard by an obscure provision in The Affordable Care Act (a.k.a. "Obamacare") allowing health insurers to charge smokers buying individual policies up to 50 percent higher premiums starting next January 1. Iditarod dog cruelties By Margery Glickman - Iditarod dogs suffer horrendous cruelty every day of their lives. Mushers have drowned, shot, bludgeoned and dragged many dogs to death. For example, Iditarod musher Dave Olesen drowned a litter of newborn puppies. Another musher got rid of unwanted puppies by tying them in a bag and tossing the bag in a creek. Mushers even have a saying about not breeding dogs unless they can drown them: “Those who cannot drown should not breed.” - More..